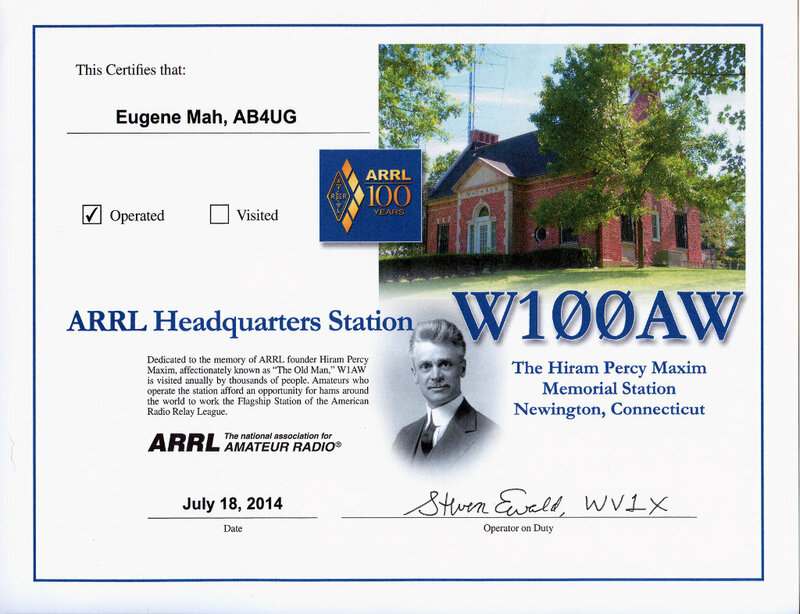 Picked up a couple more pieces of wall paper while I was at the ARRL Centennial Convention last week. 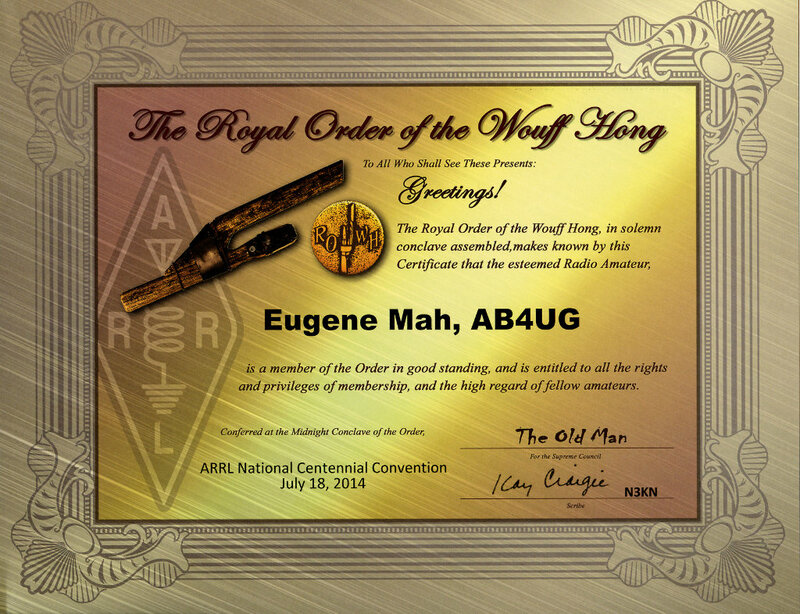 I am now a member of the Royal Order of the Wouff Hong. It was a beautiful ceremony.